“If you could sit back and watch clouds and the sky move all night and day, what might you see? This video was shot in the Teide National Park on Tenerife in the Canary Islands of Spain, attached to the northwest coast of Africa. The scenes were captured over the course of the year and include breathtaking views — clouds that seem to flow like water — a setting sun that shows numerous green flashers — the Milky Way Galaxy rising behind towering plants — a colorful double fogbow — lenticular clouds that appear stationary near their mountains peaks — and colorful moon coronas. Many believe that Maulana Karenga, professor of Africana Studies, scholar/activist and author is the creator of Kwanzaa. Mr. Karenga was able to codify the holiday with African references and influences but the spirit of the holiday originated with Julius Kambarage Nyerere. Though he was a suspicious of capitalism, his aim politically and culturally was to improve his country and all of Africa. Julius Kambarage Nyerere (13 April 1922 – 14 October 1999) was a Tanzanian politician who served as the first President of Tanzania and previously Tanganyika, from the country’s founding in 1961 until his retirement in 1985. Born in Tanganyika to Nyerere Burito (1860–1942), Chief of the Zanaki, Nyerere was known by the Swahili name Mwalimu or ‘teacher’, his profession prior to politics. He was also referred to as Baba wa Taifa (Father of the Nation). Nyerere received his higher education at Makerere University in Kampala and the University of Edinburgh. After he returned to Tanganyika, he worked as a teacher. In 1954, he helped form the Tanganyika African National Union. Minister, and following independence, in 1962, the country’s first President. In 1964, Tanganyika became politically united with Zanzibar and was renamed to Tanzania. In 1965, a one-party election returned Nyerere to power. Two years later, he issued the Arusha Declaration, which outlined his socialist vision of ujamaa that came to dominate his policies. Nyerere retired in 1985, while remaining the chairman of the Chama Cha Mapinduzi. He died of leukemia in London in 1999. In 2009, Nyerere was named “World Hero of Social Justice” by the president of the United Nations General Assembly. Nyerere continued to influence the people of Tanzania in the years following his presidency. His broader ideas of socialism live on in the rap and hip hop artists of Tanzania. Nyerere believed socialism was an attitude of mind that barred discrimination and entailed equality of all human beings. Therefore, ujamaa can be said to have created the social environment for the development of hip hop culture. Like in other countries, hip hop emerged in post-colonial Tanzania when divisions among the population were prominent, whether by class, ethnicity or gender. Rappers’ broadcast messages of freedom, unity, and family, topics that are all reminiscent of the spirit Nyerere put forth in ujamaa. 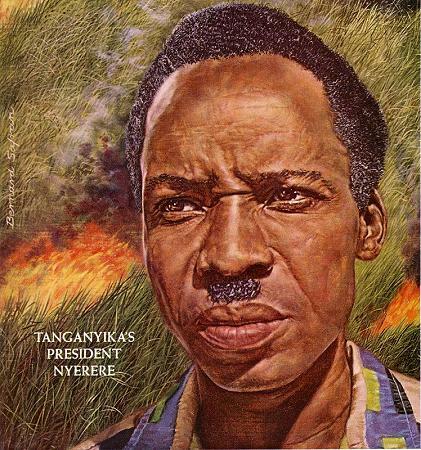 In addition, Nyerere supported the presence of foreign cultures in Tanzania saying, “a nation which refuses to learn from foreign cultures is nothing but a nation of idiots and lunatics…[but] to learn from other cultures does not mean we should abandon our own.” Under his leadership, the Ministry of National Culture and Youth was created in order to allow Tanzanian popular culture, in this case hip hop, to develop and flower. As a result of Nyerere’s presence in Tanzania, the genre of hip hop was welcomed from overseas in Tanzania and melded with the spirit of ujamaa. The Banjo originated in Africa and African slaves brought it to America in the 17th century. It is the only Western stringed instrument with a vellum belly. African stringed instruments commonly include the musical bow, lute, lyre, harp, and zither. Professional musicians among the people of Gambia play the kora, a 21-string harp-lute. The xalam, a plucked lute, is a close relative of the African-American banjo. It is used in Senegal by Wolof praise singers, whose songs revere important people. From various historical references, however, it can be deduced that the banjar, or bangie, or banjer, or banza, or banjo was played in early 17th century America by Africans in slavery who constructed their instruments from gourds, wood, and tanned skins, using hemp or gut for strings. The banjo was similar to instruments made by the Moors north of the Sahara. It is a stringed instrument of the lute family, with an open-backed round body consisting of a circular wood hoop over which is stretched a vellum belly, a long, narrow, fretted neck, and metal or metal-wound gut strings. Adopted by white musicians in 19th-century minstrel-show troupes, the banjo gained frets and metal strings. The five-string banjo, plucked with the fingers, is common in folk music and commercial bluegrass bands. The plectrum-plucked four-string banjo was popular about 1900 in vaudeville bands. What brought the instrument to the attention of the nation, however, was a grotesque representation of Black culture by white performers in minstrel shows. 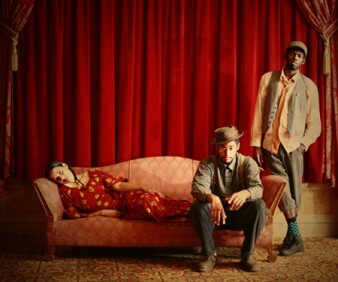 Below is an article by the group Carolina Chocolate Drop. Formed in 2005, the group members wanted to keep a Black tradition alive by learning the Banjo. Now, they have created a formidable music group that performs nationally. The banjo was viewed as a slave instrument and technically it was but it roots goes back to Africa and it needs to be reclaimed here among African Americans. 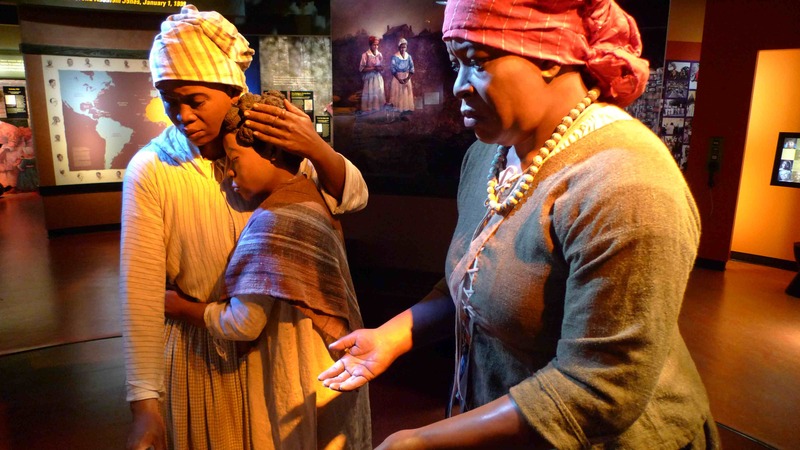 Slavery made African Americans ashamed of traditions that others now celebrate in the open and with joy. 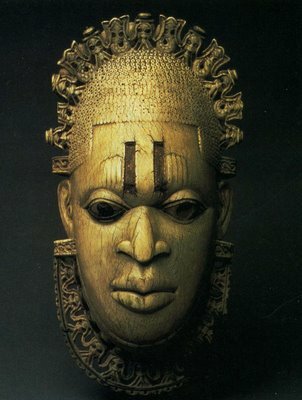 It’s our time to celebrate our ancestry and enjoy its wealth. 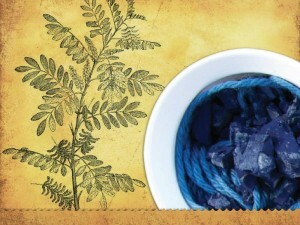 Africans have used indigo for centuries as symbol of wealth and fertility. Indigo-dyed cotton cloth excavated from caves in Mali date to the 11th century and many of the designs are still used by modern West Africans. The Tauregs, “blue men” of the Sahara, are famous for their indigo robes, turbans, and veils that rub blue pigment into their skin. Yoruba dyers of Nigeria produce indigo cloth called adire alesso using both tie-and-dye and resist dye techniques, while honoring Iya Mapo, as the patron god of their exacting craft. Dyers of the Kanuri (Cameroon and Nigeria) and Fulani (modern Niger and Burkina-Faso) ethnic groups popularized indigo near Lake Chad and through portions of West Africa. Most African dyers are women including among the Yoruba, the Malike and Dogan of Mali, and the Soninke of Senegal. Dyeing is also performed by men among the Mossi (Burkina-Faso) and the Hausa, who have produced indigo-dyed textiles in the ancient city of Kano (Northern Nigeria) since the 15th century.